Stepping outside of your comfort zone can be very rewarding. 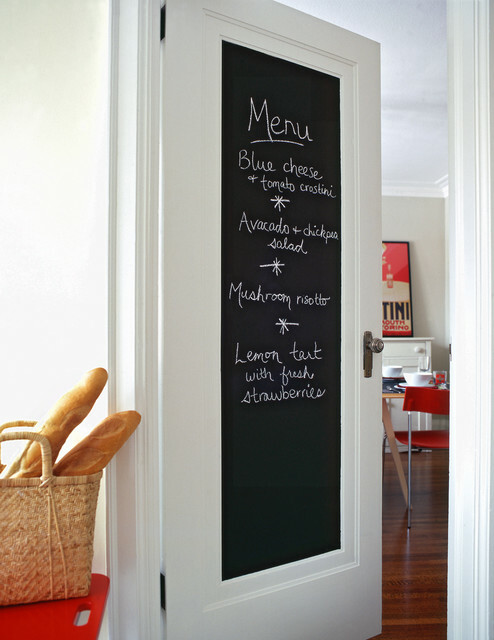 Chalkboards are certainly not a new concept in home design, but these ideas below got me thinking of new ways to use this timeless technique. I hope you try one in your home, too! On Furniture: Hostesses everywhere will love this table. Wine and cheese pairings and place card names can go right on the tabletop. On Appliances: Get a few more years out of your old fridge, or match other appliances in your new home without buying a new one! On a “Family Hub” Station: Chore charts, soccer schedules, piano lessons…keep up with it all here! 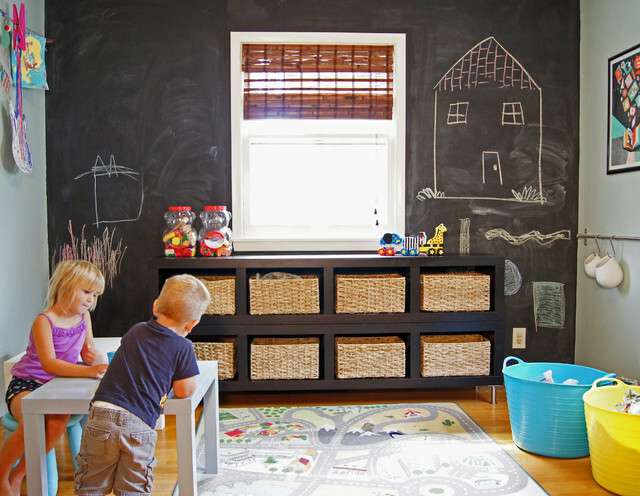 On a Play Room Wall: Let the kiddos go wild on this wall. Chasing them to retrieve crayons is no longer your most dreaded pastime. Give them some space to scribble away! Above the Mantle: Large art pieces can be quite the investment. 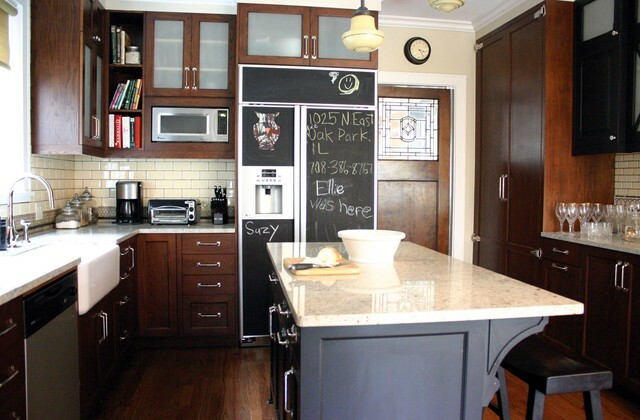 This idea can fit with many different design styles and offers great flexibility. Use upscale images for a formal look and playful images for a casual look. The options are limitless and can be ever-changing! Behind Your Head: – Some of the greatest ideas come to me in the middle of the night. No nightstand notebook needed here. Just jot down your brilliant thoughts for a morning recap a few hours later! On Doors: What a neat way to use the empty space on doors. 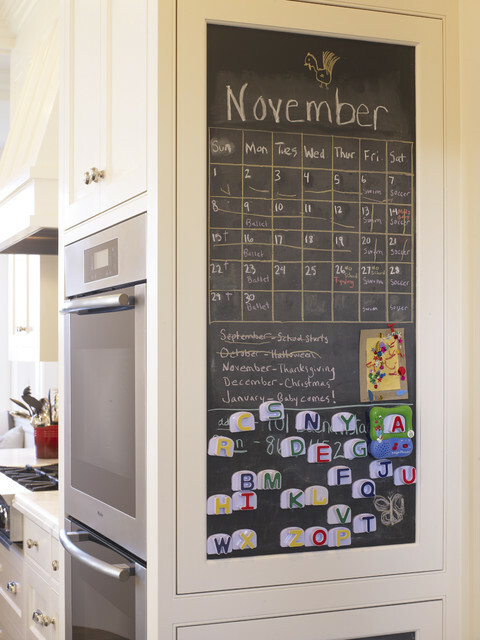 Create this look on your pantry, laundry room, or kid’s room doors. 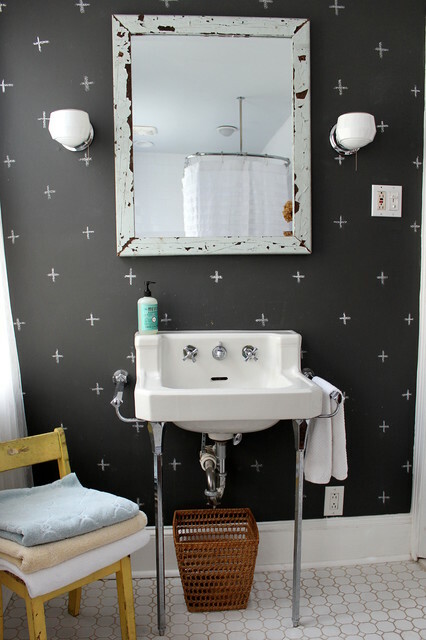 On Bathroom Walls: Create your own wallpaper designs and change them as often as you want! 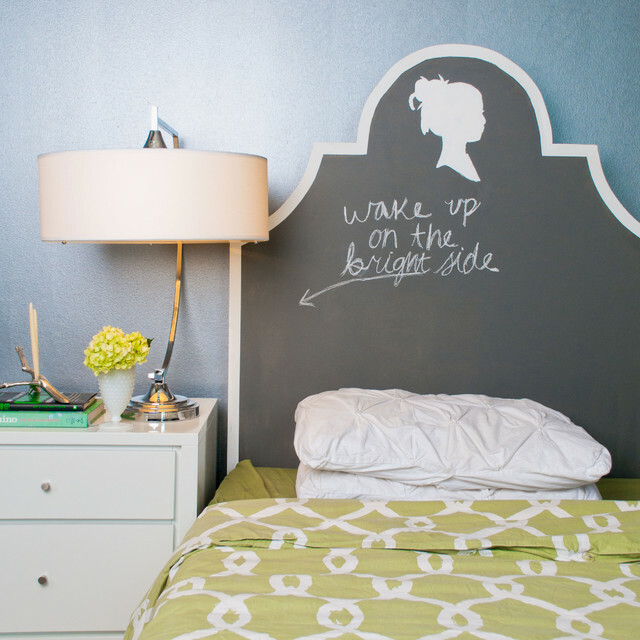 Chalkboard walls in a Powder Room is a great way for guests to leave you a little note for later! 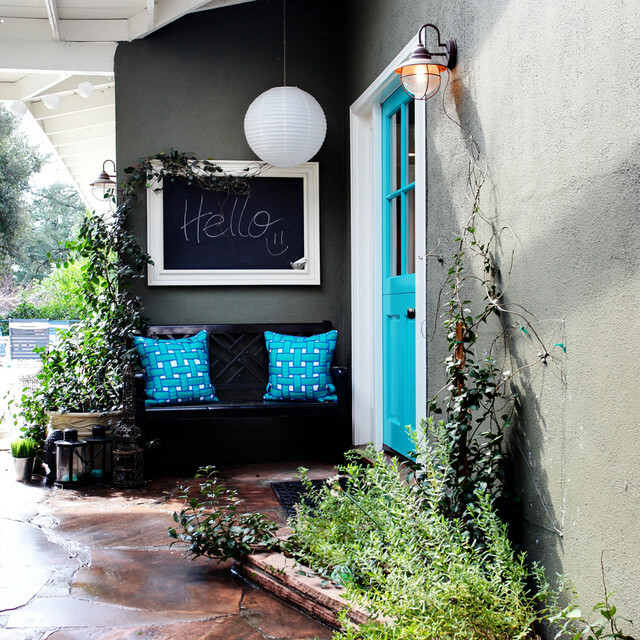 Outside: Create a space out front for neighbors to leave a note when they dropped by, but missed ya! 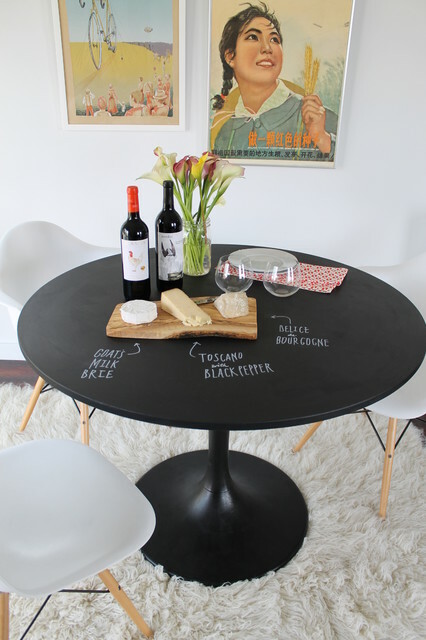 Add a chalkboard to your back patio for guests to leave fun messages while you are at the grill. For more kid-friendly design ideas by Sitting Pretty Redesign, read 3 Tips for Kid-friendly Homes with Undisturbed Adult Appeal.